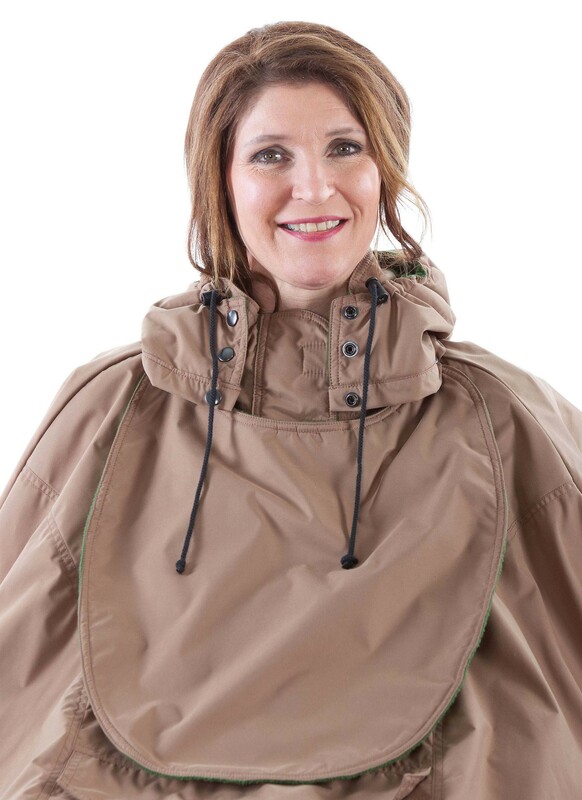 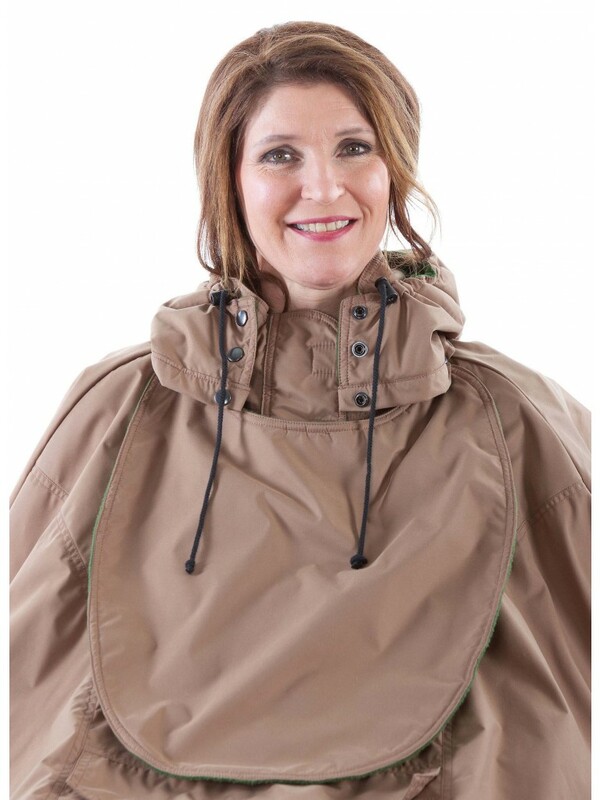 Winter cover without sleeves, completely enclosed with1/3 zip coat and Velcro strap covering the zip. 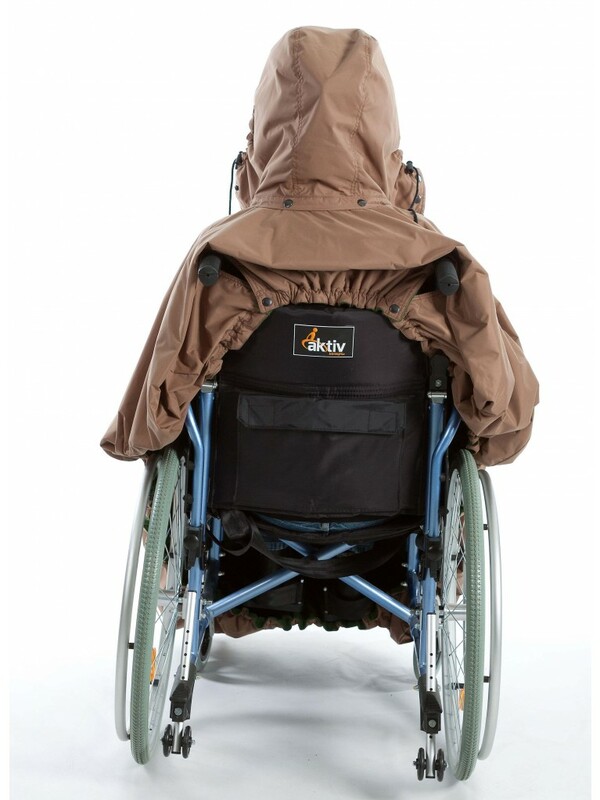 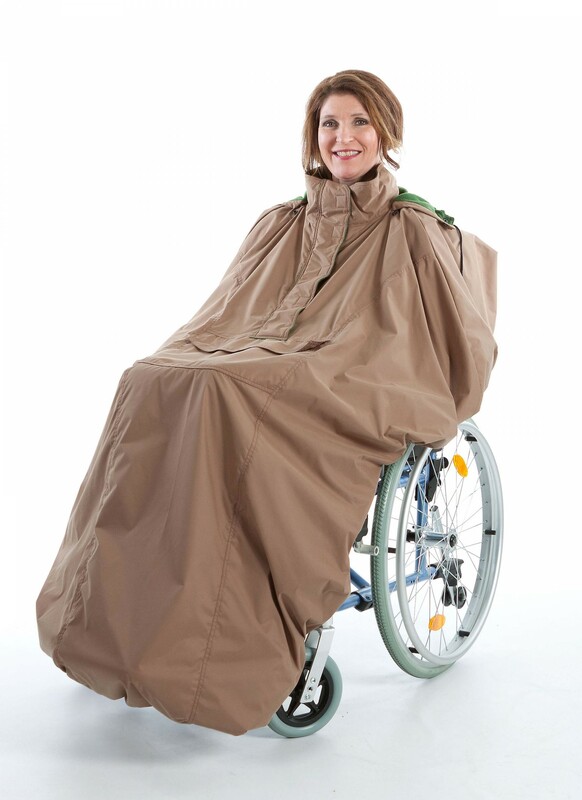 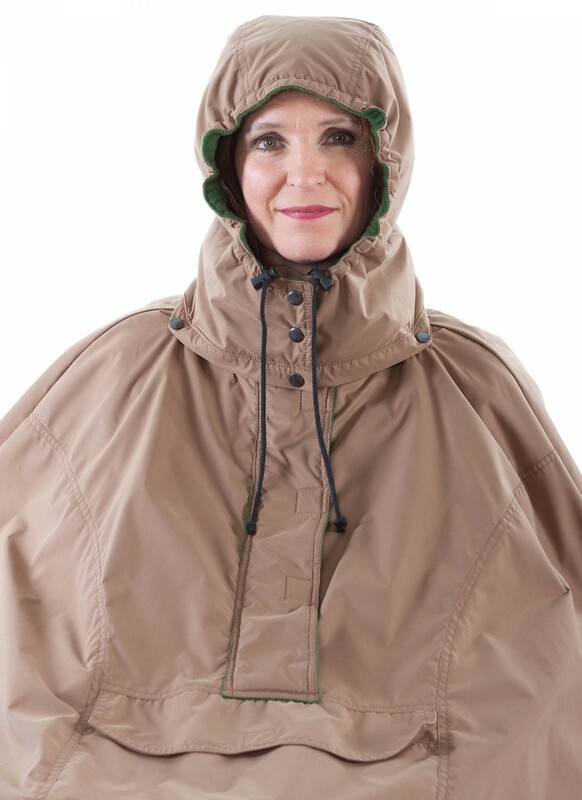 At the back is a detachable hood ( extra option) and a button gap to strap onto the handles of the wheelchair. 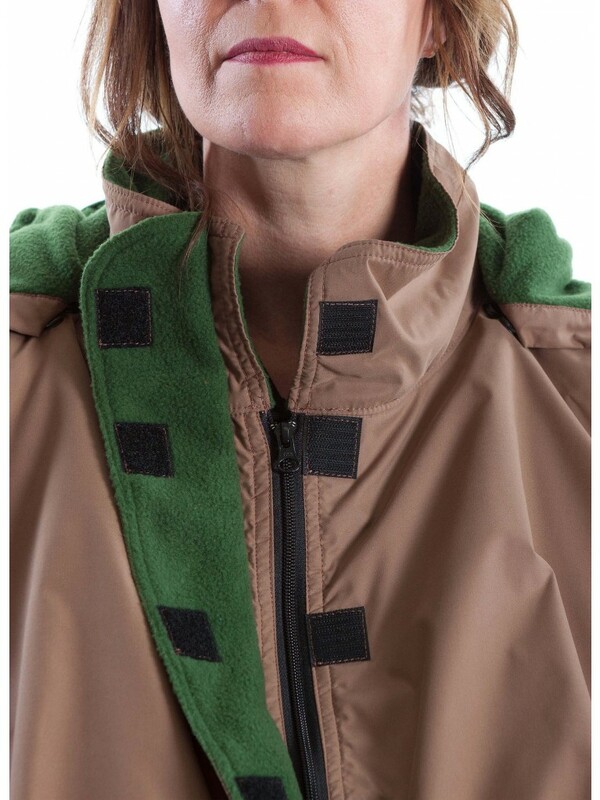 On front is a Velcro pocket and a bib (extra option) with buttons for people who drool. 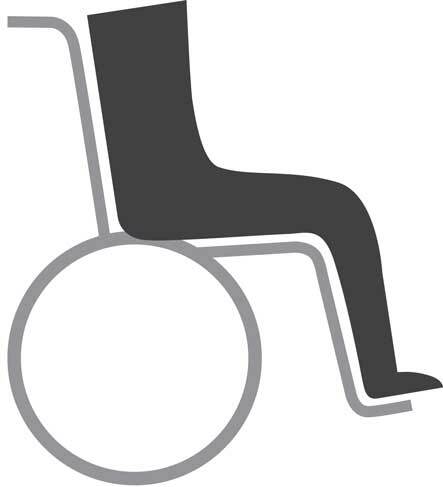 Designed for wheelchair bound people.